Whose Land Scotland is owned and run by Robin Priestley, who has been a solicitor in Scotland for over 20 years. 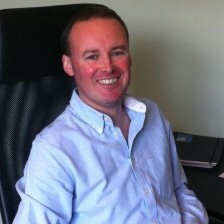 He holds an Honours Degree in Scots Law, the Diploma in Legal Practice and is a Notary Public. Prior to setting up Whose Land Scotland, Robin worked in the Land & Rural Business team at well known law firm Brodies LLP, where he specialised in large transport and renewable energy infrastructure projects, land acquisition, land referencing and compulsory purchase. He has also worked at leading law firms Turcan Connell, Dundas & Wilson and Anderson Strathern LLP. Robin has always practised exclusively in Scottish property law and has considerable experience in projects ranging from small and simple to very large and complex, some of which are listed below. He has an in-depth knowledge of Scottish land law, land acquisition and assembly, title examination and land ownership investigations. You can see Robin’s LinkedIn profile here. I will always communicate in plain English, using my experience to demystify data for you so you know exactly what you are being presented with. I want to give you the confidence to take the next steps with your project. I will always be honest about what can (and can not) be achieved from the start. As not all land ownership projects are the same, before I start I will take the time to understand your goals and your budget. You will never be kept in the dark. As matters progress I will be in regular contact with you, monitoring progress regularly against your budget. You can find examples of the voluntary title registrations I have completed for clients elsewhere on this site.